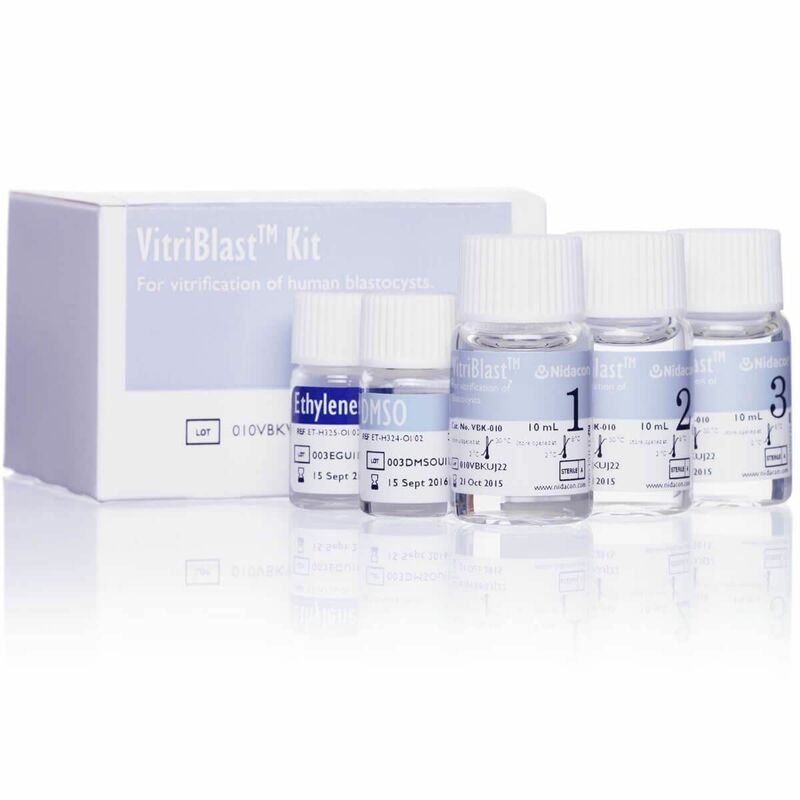 VitriBlast and ThermoBlast vitrification media, are both optimised for blastocysts and are based on well-tested standard formulations (Lane et al). 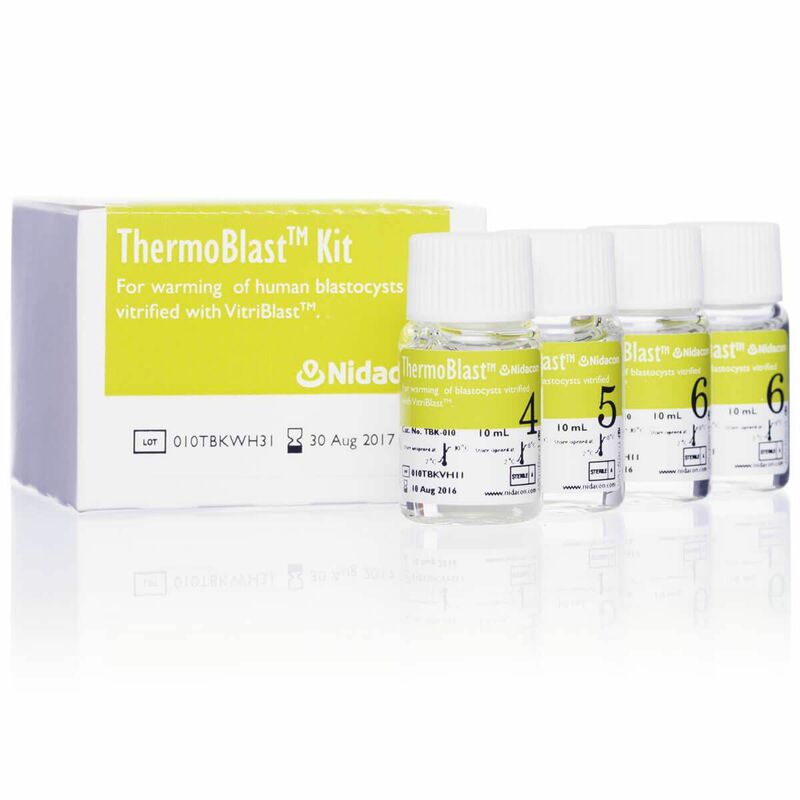 Since the formulations have been used considerably, Nidacon can provide you with a very detailed protocol for vitrifying blastocysts, just for your security. MEA: Re-expanded blastocysts after exposure >80%. Bottles and screw caps are M.E.A. tested. Store at 2 to 30°C and avoid temperatures above or below these values. Under these conditions VitriBlast has a shelf-life of 12 months. The expiry date is shown on both bottles and cartons. Open and close bottles under aseptic conditions. After opening store at 2 to 8°C when not in use. Shelf-life on the product label applies when the product is stored according to manufacturer’s recommendations. No antibiotics, unstable additives or preservatives have been added by the manufacturer to VitriBlast.